For over 20 years, Mary Ann Halford has been actively building businesses in the media and entertainment industry in the US and internationally. She has worked as both an operator and a consultant. As a consultant, she is currently a Senior Advisor to OC&C Strategy Consultants as well as independently consulting clients, largely in the filmed entertainment and broadcasting industries. Through the first half of 2017, Mary Ann was a key leader in building and developing FTI Consulting’s media and entertainment practice in both the US and EMEA. Most recently she was a Senior Managing Director in London, launching the firm’s practice in EMEA. · Establishing the Fox International Channels Group, from its initial platform of channels in Latin America to a global operation with channels in Europe, Latin America and Asia. Additionally, Mary Ann served on the Board of Directors for Triton Digital from 2007 through 2015 and is a Co-founder of Saavn.com, the “Spotify of India”. 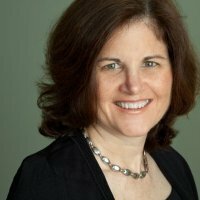 Mary Ann resides in NYC and earned an MBA from Harvard Business School and a B.A. from Georgetown University.